About Masonry – San Jacinto #106 Lodge A.F. & A.M.
Freemasonry (also known as Masonry) is the world’s oldest fraternity. It provides a supportive environment for good men to make themselves better through symbolical, philosophical, and historical education and research, and the assistance of its members. Masonry is also a network of friends who take care of each other and their families and provide relief in times of need. As well, Masons provide much-needed financial aid and volunteer assistance in their communities. 1. Masonry is a place where you can confidently trust your brothers, and entrust your family with them. 6. Masonry is a place where you can go to give support and assistance as well as seek it. 2. 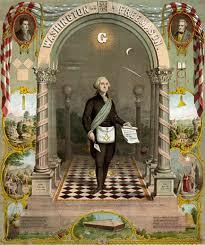 Masonry is a place where, within moral and civil guidelines; free thought, free speaking and the spiritual growth of man can grow into its fullest potential. 7. Masonry is a place where moral virtues are taught, and through these teachings a regular reinforcement of the moral virtues is experienced. 3. Masonry is a place, which provides the opportunity to meet, know, and call brother, outstanding individuals from all walks of life, that you would not have otherwise met. 8. Masonry is a place to spend time with a group of brothers, whom by acting as good men can make a man want to become better. Not better than others, but better than he would have otherwise been. 4. Masonry is a place to be a part of an organization that has for its principle tenets Brotherly Love, Relief, and Truth. 9. Masonry is a place to become better prepared to help and serve church and community. 5. Masonry is a place that provides self-development opportunities, leadership training and experience, and to improve public speaking skills. 10. Masonry is a place to meet with established members of the community and to become a vital part of the community. The structure of Freemasonry – Click here for information on the structure of Freemasonry and its associated organizations. Will I EVER BE ASKED TO JOIN?